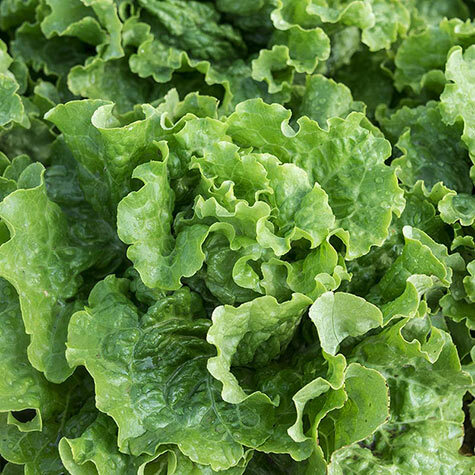 Green Ice Lettuce | Gurney's Seed & Nursery Co.
Add this refreshing and vitamin-rich gourmet lettuce to your summer and fall menus. Ruffled heads are 12 in. tall and have a sweet and flavorful taste that makes them perfect in salads. 45 DAYS. 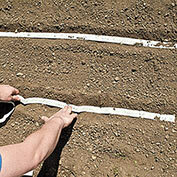 Soil Requirements: Rich, light, sandy, moist, well-drained soil.ph 6.0 - 6.8. Neutral PH. Seed Count: Approximately 750 seeds per packet. 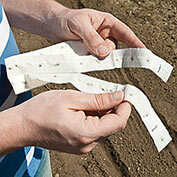 The seed tape is 15 feet long and has approximately 360 seeds. 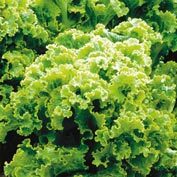 Comments: Tender, sweet and flavorful, vitamin rich, gorgeous bright green and frilly, adding a special gourmet touch to salads, slow to bolt, crisp loose heads of ruffled leaves.